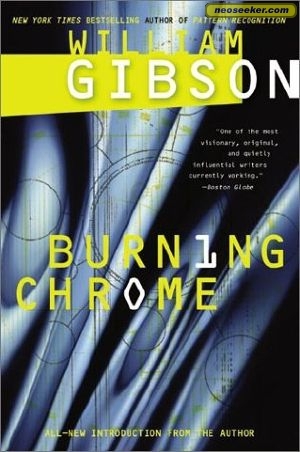 “Burning Chrome” is a short story by Nebula Award-winning author William Gibson that was published in 1986 in an anthology also called Burning Chrome. Once more–plug in the trodes, flip the switch, and let’s get this review started! Bobby Quine and Automatic Jack are two top-grade hackers in the Sprawl who decide to make the biggest security-cracking job of their careers: to burn through the network defenses of Chrome, a money handler for the Yakuza and other organized crime groups, and strike it rich with impunity. They enlist the help of a girl named Rikki, who almost proves to be more trouble than she’s worth to the success of their mission. And then there’s the unholy walls of security to penetrate before they can even begin to think of victory. This story is notable for introducing so many concepts that became linked not only to Gibson’s later works, but to the cyberpunk genre in general. It’s here that the term “cyberspace” is first coined, along with the slang “ice” (short for Intrusion Countermeasures Electronics). It’s here that we first see the Boston-Atlanta Metropolitan Axis–a.k.a., “The Sprawl“–a megacity of many geodesic domes, extreme social stratification, and plentiful opportunities for hackers and other cyberspace enthusiasts. “Burning Chrome” is a hip story on its own, giving up a prototypical view of the world he created for his better-known “Sprawl Trilogy.” But it’s also a good story for the anthology, being a good book end to the equally cool tale “Johnny Mnemonic” and a nice way to end such a wild anthology. 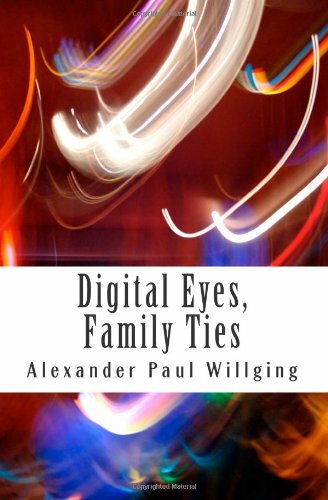 Bibliography: Gibson, William. “Burning Chrome.” Burning Chrome. New York: HarperCollins Publishers, Inc., 1986.